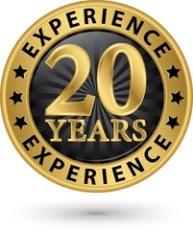 High-Tech Professionals, a tech staffing and recruiting company, has recently reached their 20th year anniversary. They were established in the fall of 1996 in Portland, Oregon and quickly expanded to San Diego, CA. High-Tech Professionals now have clients all across the US from San Francisco to New York. They provide tech staffing and recruiting services for openings with a wide range of job titles. Two things set High-Tech Professionals apart. First it is a woman-owned business, and furthermore, the owner, Denise Lidell, has a BS degree in Computer Science and used to be a Software Engineer herself. Denise says “I started this business because it was an excellent blend of my background and experience as first a software engineer, but also as a trained career coach with an MA in Counseling Psychology, emphasis Career Counseling. An employment agency for technical professionals was a perfect fit.” Because of this background, this company understands very well exactly the kind of experience and abilities companies look for in their technology hires. High-Tech Professionals is often solicited by Fortune 50 companies to help with their tech staffing needs. For example, some of High-Tech Professionals well known clients include firms such as Oracle Corporation, Hewlett Packard, Samsung, Amazon.com, Intel Corporation, Angie’s List, and more. Over the years, more and more Fortune 50 companies call on High-Tech Professionals. Companies contact High-Tech Professionals because of their in-depth understanding of the requirements of the position. As one company explained, their own internal HR recruiters just did not quite understand what was needed for their highly technical positions. Visit High-Tech Professionals client list and see testimonials on their website. Many staffing firms hire candidates out of college without a technical degree and without actual on-the-job experience in the technical world. These recruiters start their search based on key words. But just seeing a key word on a resume does not mean the candidate is a match for the job. High-Tech Professionals understands the context. They understand how the key words need to fit together to spot sought after talent. They also understand the right questions to ask to find the right talent. Asking the appropriate questions is a BIG part of tech staffing and recruiting. With 20 years in the industry, finding the right candidate is frequently just a few calls away. High-Tech Professionals has a large database of passive and active candidates. With their tech staffing experience and technology background, they know how to recognize the right talent for the position. High-Tech Professionals believes in honest communication. Together with their clients they build long-lasting, mutually beneficial relationships. You can find out more about High-Tech Professionals at their website: https://hightechpros.com. High-Tech Professionals specializes in Software Engineering, Hardware Engineering and Information Technology (IT). They provide candidates for Software Development, Hardware Design, (ASIC, RF, Analog, Digital, and Mixed-Signal), Mechanical Engineering, Network Engineering, Database Development, Manufacturing, Quality Assurance and Testing, Technical Writing and more. High-Tech Professionals does tech staffing at the Management level including Directors, VP’s, Program Managers, CxO, and Project Managers. They also recruit and staff Sales and Marketing professionals in the technology industry. Industries include but are not limited to Software Products, Semiconductor, Telecom, Network Management, Electronic Design Automation (EDA), Computer Graphics, Multi-media, Web applications, Instrumentation, Internet and E-Commerce, PC Software and Windows Products, Unix products, Database Applications, Android Applications. They also staff the IT Departments from every industry. Seeking a System Design Lead for New York, NY company to lead system and mechanical design within a high-performance computing company. Should have 5+ years of overall experience. Areas of knowledge should be in electrical and/or mechanical system design and Custom Cooling Solutions. Any interested parties should send a MS Word document of your resume with Job ID #1880 in the subject. If you have other staffing or recruiting needs please let us know. We are the Tech Recruiters in touch with the right Tech Pros for your needs. Seeking Director of Engineering for North County San Diego company who has experience managing an engineering firm. Should have 10+ years of hardware or embedded software experience, and 3-5+ years of management experience. Areas of knowledge should be electrical engineering, manufacturing, remote controls, thermostats and human-machine interface products. Any interested parties should send a MS Word document of your resume with Job ID #1867 in the subject. 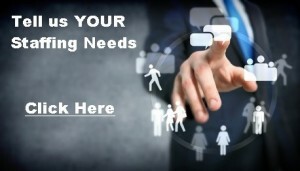 If you have other staffing or recruiting needs in San Diego, California or across the US, please let us know. We are the Tech Recruiters in touch with the right Tech Pros for your needs. High-Tech Professional’s website has been updated to be mobile responsive. The website will now resize automatically regardless of the visitors screen size. Responsive design is now the web layout technique of choice. 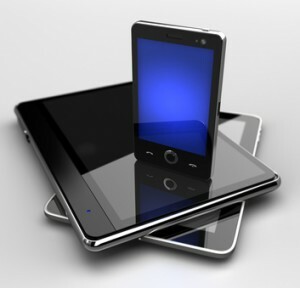 Google has announced that Responsive Web Design is its recommended approach for mobile search engine optimization. What this means to you is wherever you are –lunch break, public transportation, etc. — you can more easily view our current openings and submit your resume, giving you a greater opportunity to find your next ideal career move!